The B.C. NDP government is unveiling its second provincial budget this afternoon. UBC experts are available for comment. As 2018 comes to a close, UBC experts are available to comment on various topics related to business trends in the new year. For decades, marketers have used envy to sell, attempting to cash in on consumers’ desire to want what others have. But does it actually work? With ICBC reporting a potential $1.3-billion deficit, many ideas are being proposed to help the Crown corporation scale back its spending. The Mobility Pricing Independent Commission is considering charging drivers for each kilometre driven and charging tolls for traffic-heavy areas. In the era of fake news, less scrupulous businesses are using deceptive tactics to smear their rivals. 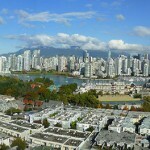 The city of Vancouver has announced details of its housing strategy. The federal government is expected to announce details of its national housing strategy on Wednesday, Nov. 22. Vancouver city council has approved a new bylaw covering short-term rentals. UBC experts are available to comment. New research co-authored by UBC Sauder School of Business professor Katherine White has shed light on why some people are – and aren’t – motivated by public appeals, and how fundraisers might better tailor requests. U.S. President Donald Trump campaigned on a promise to bring jobs back to America. But his plan to limit outsourcing of manufacturing jobs may be flawed, according to research from the UBC Sauder School of Business. A new study led by the UBC Sauder School of Business has found significant U.S. institutional investor bias against firms located in Quebec relative to firms located in the rest of Canada due to language differences.